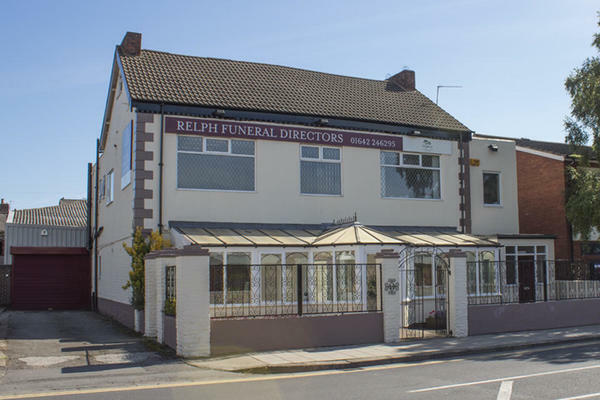 Relph Funeral Directors has served the local community in Middlesbrough since 1870. We were established by a local carpenter, and have passed down our knowledge and expertise over three generations. We have sister funeral homes nearby, in Billingham, Marton and Stockton on Tees. These help us to support the wider communities in and around Middlesbrough. From our funeral home in North Ormesby, we continue to arrange and conduct funeral services with respect and compassion. We give families all of the care and attention they need so that we can plan a fitting farewell for their loved one. You can call us 24 hours a day. We are always here to offer you our full support. At Relph Funeral Directors, we understand how special life is with those that you love. For us, every funeral is unique and personal. We have a service to fulfil every wish, with every detail carried out with the same uncompromising quality of care. From a traditional service, to a colourful woodland burial, your options are limitless with our Full Service Funeral. If you have a little more flexibility when it comes to arrangements, then we can provide a Simple Funeral for a lower cost. There is paid car parking available on surrounding streets including the main road. We are located on the Kings Road next to Barclays Bank opposite Poundstretcher. Our staff are available 24 hours a day on 01642 246295 if you require our services outside of these hours. My Mum, Mrs Doreen Grimes, sadly died on the 10th March 2019 in James Cook University Hospital due to complications arising from pneumonia. After contacting Relph and speaking to a gentlemen called Adrian, the support I received from him, and his whole team, was outstanding. Every instruction, with regards to my wishes for my Mother's funeral, were carried out with care, compassion and understanding. Every element of the planning of the funeral was explained in detail to me, from collection of my Mother from the hospital, viewing her at rest, to the planning of the service and burial. Adrian took control and successfully managed all aspects with great care. I could not have wished for any more respect and dignity shown to me and my family by Relph's staff, during our loss and beyond, and I have no hesitation in passing on the highest level of praise for the services we received. Thank you for taking the time to complete the online review. I am pleased that the arrangements for your Mother were carried out to your satisfaction. I am happy to hear that we were able to help ease any worries that you may have had and that we were able to help make things easier for you at such a difficult time. Service was second to none. Lisa was dignifies, empathetic and delivered personal attention throughout. Lisa and her colleagues have been friendly, efficient and very helpful during a stressful time. They are professional and nothing is too much trouble for them. From the very first time we spoke with Relph Funeral Directors following my Dad's passing to the last time we spoke with them a few days after the Service, their caring and helpful attitude was unrelentless throughout the process. They accommodated every wish we had and arranged the preliminaries, service and essential requirements in an efficient, sympathetic and low key manner. We cannot thank them enough for the arrangements they put in place which fitted with our request to make the day of the actual funeral service a day of celebration of Dad's life. Special mentions go to Lisa, who visited us, answered all our questions and guided us through the process, Joe the funeral celebrant for his delivery of the honest meaningful service and Peter and Maurice the two drivers, who on the day of the funeral, were the breath of fresh air that was needed. Our Thanks go to all. All the staff at Ralph's funeral service were outstanding, helpful considerate thoughtful and very professional. The service provided by Relph's was excellent - friendly, sympathetic and efficient. It was just what we needed at such a sad time. Please give my thanks to all the staff at Relph Funeral Directors for the planning of my fathers funeral and the dignity shown while in there care. Also for the after care we have received from dignity for the family at this sad time. This is the second time in two years I have used Relph and the service has been first class. They are very sympathetic and understanding while being very professional. I'm so impressed I've took out a dignity plan out for myself. Well recommended . Your staff made an awful situation much easier to bear, they were extremely helpful and attentive and there was nothing we had to worry about, everything was taken care of, and even things that weren't part of your service they gave us advice and guidance. Thank you for the kind comments posted on your online review. I am glad we were able to provide you with the support and guidance needed and that we were able to make things easier for you at such a difficult time. Relph's couldn't have been more helpful and sympathetic while arranging my wife's funeral. Our primary contact was Lisa and she was both professional and caring, although all the staff were fantastic. The celebrant they arranged, James provided a perfect service. I don't believe that we could have found a better company to go to. All staff very helpful , polite and approachable. Joe Johnson of your North Ormesby branch was the consummate professional.. I cannot stress how caring he has been, making regular calls to see how we were and if there was anything he could help us with. Relphs made a hard day easier for the family. Thank you for sharing your experience with us on your online review. I am pleased that our team were able to help make things easier for you and the family at such a difficult time and that you were so well looked after.